News of teen car crash victims invariably get me choked up, but I have recently found myself thinking even more than usual about teenage drivers. I’m sure this is in large part due to the fact that my oldest child has now started talking about what car she hopes to drive in the not-too-distant future. I’m pretty sure it’s also because of the recent news detailing the incredibly sad local story about teenage sisters involved in a fatal crash. But to be honest, this time of year always makes me think about the risks involved in newly licensed teens getting behind the wheel. I’m not sure why the time of year should make a difference – since the premature death of a teenager is without exception a horribly sad occasion in any season. But there’s apparently something even more devastatingly newsworthy about covering the senseless loss of life when it happens on prom night or just after graduation when teens should be excitedly preparing to embark on their future, not being laid to rest. Needless to say, my heart always goes out to the families and friends of the more than 3000 teens who die in motor vehicle crashes each year. At the same time, my thoughts also turn immediately towards helping make sure you and every other parent (myself included) know what parents can do to protect our own children from such a tragedy. It’s important to start by being aware of just how common it is for teenagers to be involved in motor vehicle crashes. Not only do car crashes continue to rank as the number one cause of death for teens, but 16 to 19 year olds are four times more likely to be fatally injured than 25 to 69 year olds. Having said that, I feel the need to assure you (and my own teenagers, if they happen to read this) that my goal here isn’t to convince you that you should take away the car keys until your child reaches the age of 25. Rather, it’s to tell you that there is good evidence to support the notion that what you do as a parent, including the limits you set when it comes to your teen’s introduction to driving, is exceedingly important. So what can you do to limit your teen’s crash risk? The good news is there’s actually a lot you can do. Practice, practice, practice. Be aware that a teen’s greatest lifetime risk of crashing is in the first 6 months after getting a driver’s license – a risk that is in large part attributed to inexperience. In fact, seventy-five percent of all serious crashes involving teens have been related to three main critical errors of inexperience – lack of scanning for (and responding to) hazards, going too fast for road conditions, and distractions. Based on what we now know, however, the number of supervised hours that teens get behind the wheel before getting their driver’s licenses makes a big difference. Set limits. It should come as no surprise that parents who set appropriate boundaries –– both on and off the road – have been shown to have a big impact on their children’s health and well being. Teen drivers are no exception. According to a study published in Pediatrics, teen drivers whose parents set and enforced rules were more likely to wear seat belts and less likely to speed, get in crashes, drink and drive, or use cell phones. Help your teen avoid distractions. While it’s a good idea to avoid any and all distractions that stand to interfere with your teen’s undivided attention, there are 2 driving distractions in particular that have been proven to kill teens: cell phones and other teen passengers. In fact, nearly two out of three teen crash deaths for 16-year-old new drivers involve additional teen passengers. Know the rules. 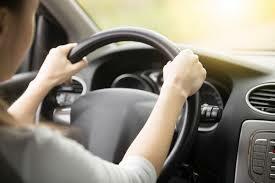 Every state is different when it comes to laws about teen driving and learner’s permits. A majority of states – Nebraska included – place restrictions on new drivers in the first 6 to 12 months of driving. Referred to as a Graduated Driver’s License (GDL), such limits as nighttime and passenger restrictions have been proven to reduce crash risk. Nebraska’s GDL restrictions include no driving between midnight and six a.m. until the age of 17, and no passengers other than family members for the first 6 months of driving. Drive by example. Just as with every other aspect of parenthood, your teen driver will be watching you. Logging lots of supervised practice hours is definitely important for your teen’s future driving safety, but so is serving as a role model by making sure you always wear your seatbelt and put down your cell phone while driving. Next PostNext Hello. Allow Me to Introduce You to the QI Skills.